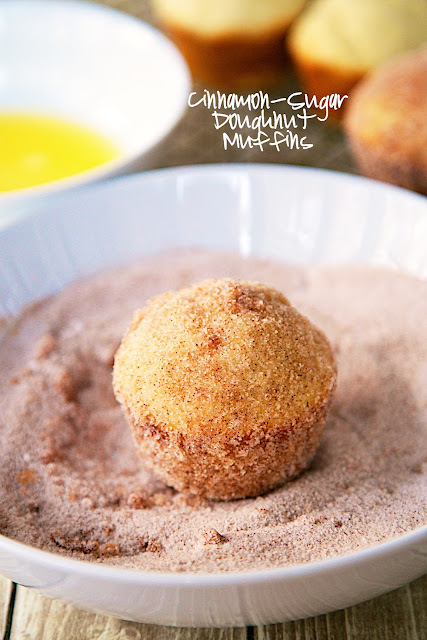 Cinnamon-Sugar Doughnut Muffins Recipe - baked doughnut muffins coated in cinnamon and sugar - tastes just like an old-fashioned doughnut! Great for Mother's Day breakfast! Need a Mother's Day breakfast idea? How about these delicious Cinnamon-Sugar Doughnut Muffins?? OMG! They are SO good! I seriously ate way too many of these yummy doughnuts! They were so hard to resist. They taste just like an old-fashioned doughnut! The doughnut muffins can be made a day in advance and stored in an air-tight container. We reheated the muffins for a few seconds in the microwave before eating them. Preheat oven to 350ºF. Spray a 12-cup muffin pan with cooking spray. Set aside. Sift together flour, baking soda, baking powder, salt, nutmeg, and 1/4 tsp cinnamon. In a large bowl, beat the butter on medium speed of a hand-held mixer for 2 minutes. Turn the speed to low and slowly add 3/4 cup sugar. Mix well. Add eggs one at a time, mixing just until the yellow disappears. Add the dry ingredients in three batches, alternating with the milk. Mix just until incorporated. Using a large scoop or ice cream scoop, scoop batter into prepared muffin pan. Bake for 20-25 minutes. Remove doughnuts from pan and let cool completely. Place 1/2 cup melted butter in a bowl. Combine 1 cup sugar and 1 Tbsp cinnamon in another bowl. 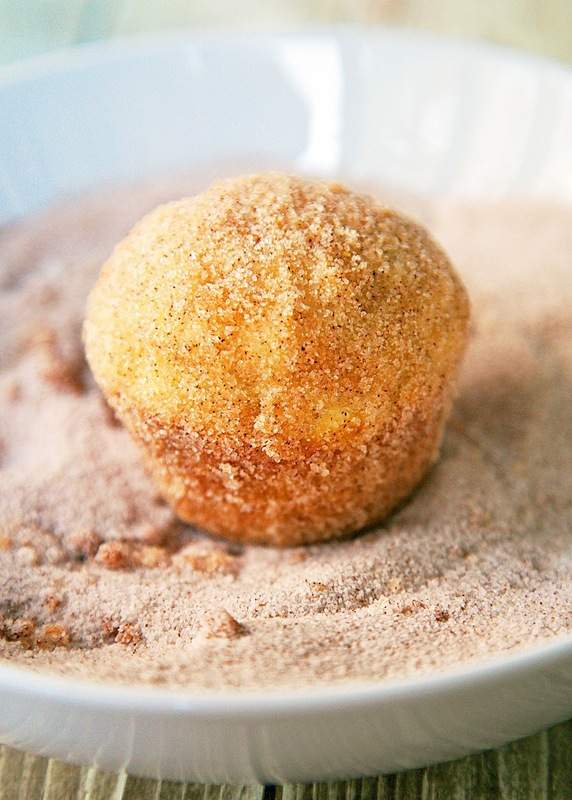 Dunk cooled doughnut muffins in melted butter and then coat in cinnamon sugar. Store muffins in an air-tight container for up to 2 days. Stephanie! These look SO good! Um, just Pinned it, looks AH-MEEEEE-ZING.